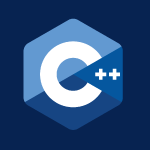 Here I will begin my large C++ tutorial that many people have been asking for. I decided to teach C++ through problem solving. This first video covers preprocessor directives, main, cout, if, terminal arguments, for, data types, variables, constants, printf, strings, getline, cin, conversions, and much more. This tutorial is light on problems, but for each forward I’ll try to include at least 3 progressively complex problems for you to solve. I hope you enjoy it. If you like videos like this, consider donating $1, or simply turn off AdBlocker. Either helps a lot.